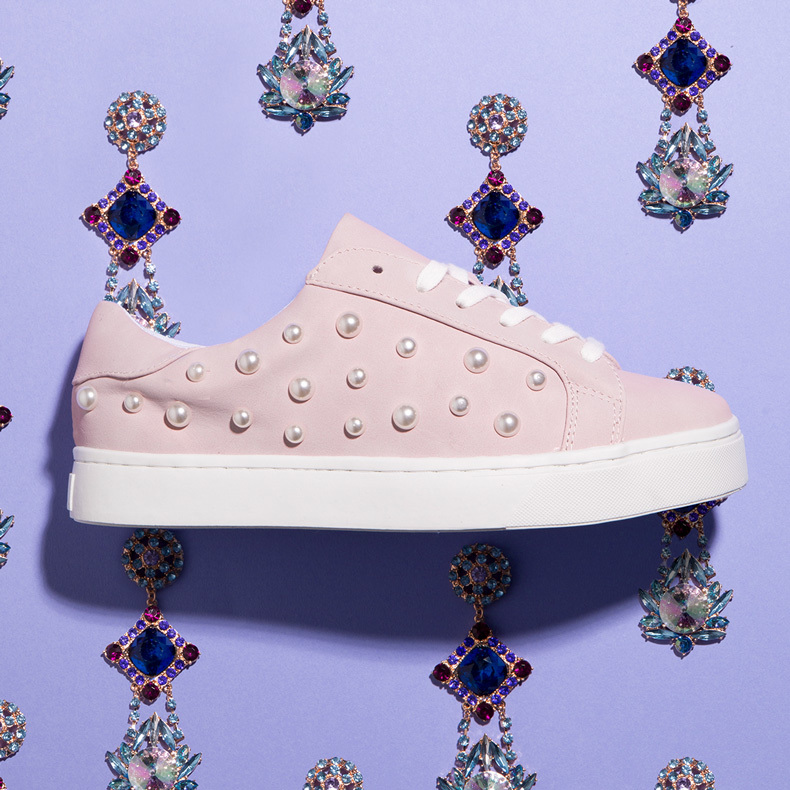 If there’s one item that can really step an outfit up a gear, it’s statement shoes. This season, it’s all about giving your OOTD that OTT feel with footwear that’s just a little bit (or, a lot) extra. From all-over glitter covered boots at Chanel, to sparkling ankle straps at Calvin Klein – not to mention the fur linings and floral embroidery details that have been everywhere on the high-street – it’s clearly all in the details. It’s time to up your bling game. As always (in our opinion), but more than ever with this trend – the shoes you choose shouldn’t be an after-thought. 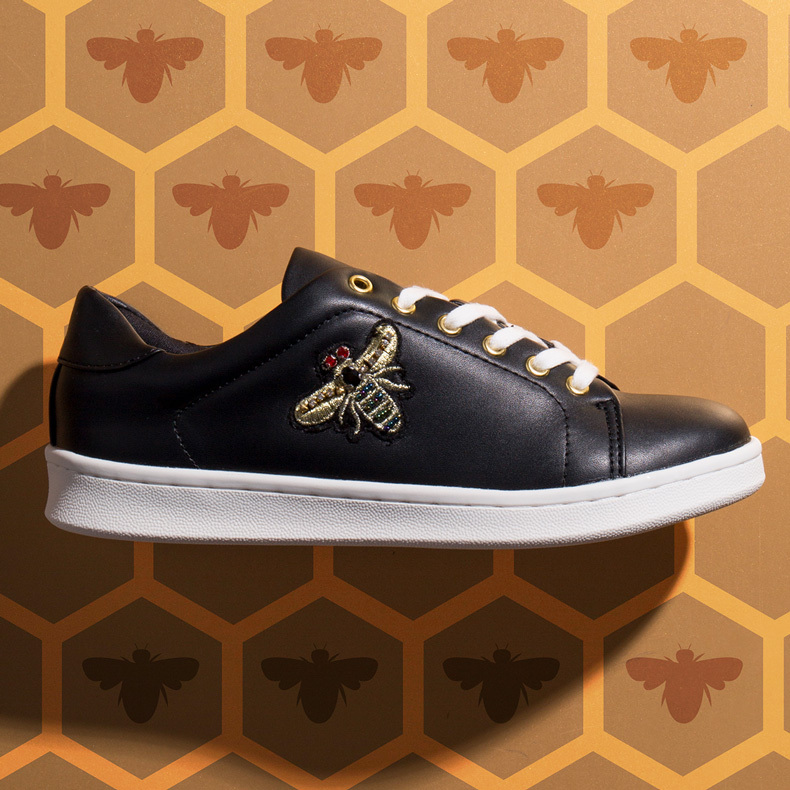 The shoes are the talking point here and are intended to amplify your outfit. So whether you’re wearing an understated look that needs elevated, or are going for all-out opulence – start from the shoes up. Not to worry if your not ready to go too bold with your footwear picks. We’ve got chic subtle statements, like the PUMA Basket Heart Safari and it’s over-sized laces – it’s an added bonus that they also come with satin ribbon laces that can be swapped in when you’re feeling a bit fancy. 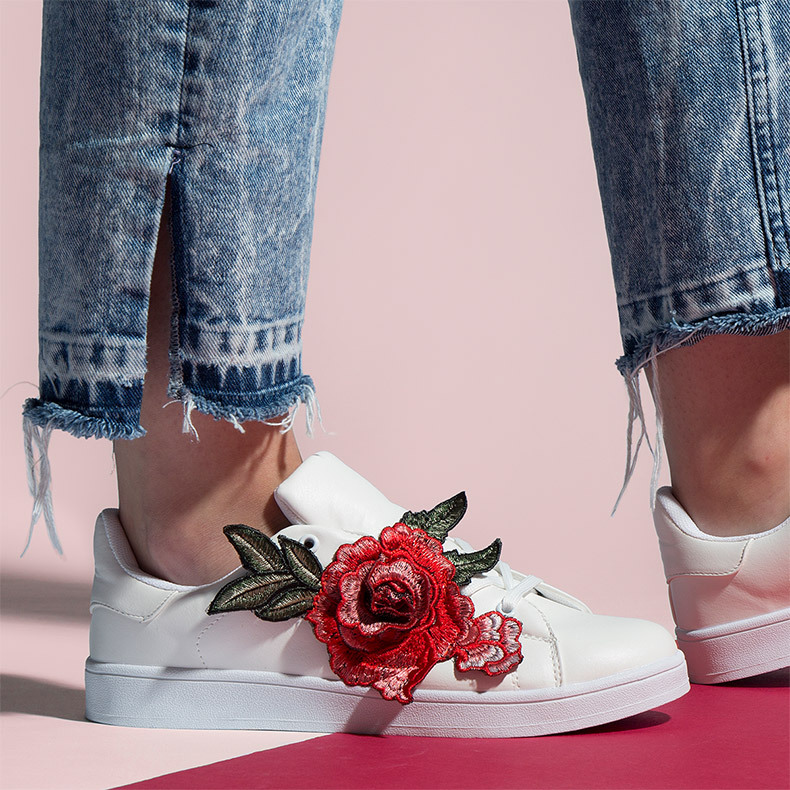 You’ll have seen embroidery details everywhere – from denim to bags – and now you can step it up and add some to your shoes. This season has seen the trend evolve from tapestry-inspired fabrics to more stand-out patch style designs. Not only do these two lovelies nail the trend, they’re also a bit of a steal. Who’s got time for plain trainers anyway? And for the gals who like to go all out – opt for glitter or gems. 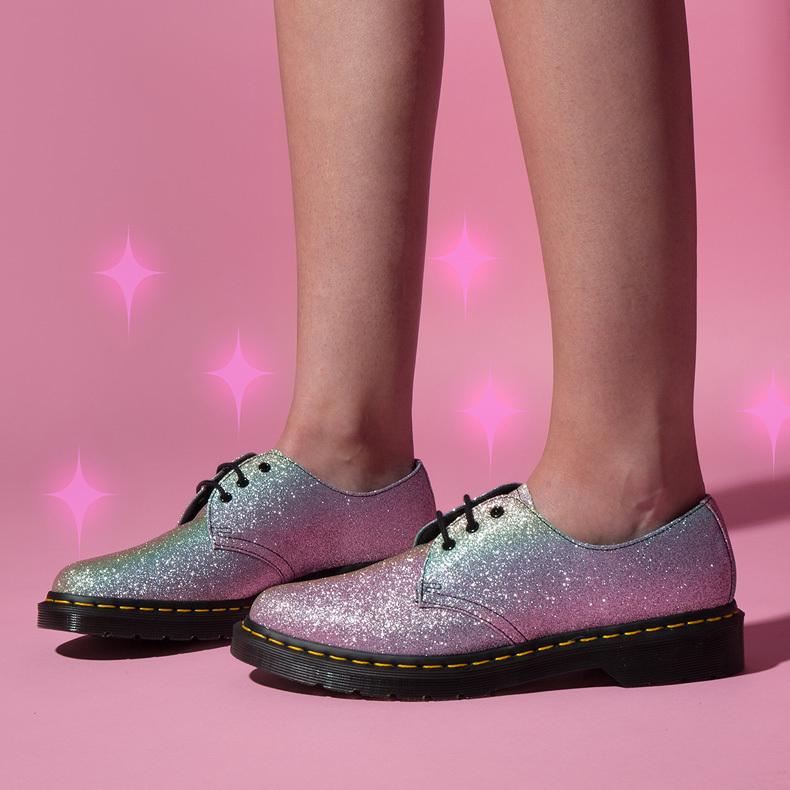 Mermaid sparkle is the vibe for Dr. Marten’s and pearls are a girls new best friend. These are the ultimate show-stoppers. Remember with this trend it’s ok to go maximalist – you don’t need to stop at the shows. So get ready to turn heads and steal the show!